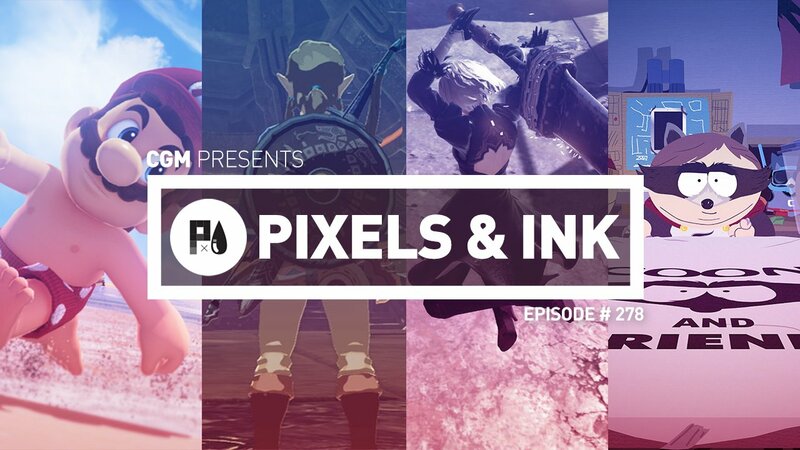 Pixles & Ink: Episode 278 – CGMagazine’s 7th Annual GOTY-Cast! It’s that time of year again! CGMagazine has gone through painstaking surveys, endless debates, and several spiritual journeys to figure out the best of the best games of 2017 – an extremely difficult feat to achieve in a blockbuster year in gaming. Join Brendan Frye, Phil Brown, Brendan Quinn, Jordan Biordi, and Lisa Mior as they dive in head first to bring you CGMagazines top 5 games of 2017, as well as their personal best games of 2017. Want to read more about the topics we talked about today? Check out some of CGMagazine’s reviews of some of our favourite games from 2017: Super Mario Odyssey, Nioh, Neir: Automata, Cuphead, Resident Evil 7: Biohazard, Horizon Zero Dawn, Prey, Diablo III: Rise of the Necromancer, Final Fantasy XIV: Stormblood, Sundered, Slime Rancher, Sonic Mania, Enter the Gungeon for the Nintendo Switch, Persona 5, South Park: The Fractured But Whole, Uncharted: The Lost Legacy, Wolfenstein II: The New Colossus, Mario Kart 8 Deluxe, Injustice 2, The Elder Scrolls V: Skyrim VR, and The Legend of Zelda: Breath of the Wild! Want to see more videos? Subscribe to our YouTube channel and check out past episodes of the Pixels & Ink Podcast, as well as first looks at the latest games!